The early instars of the caterpillar are orange and red, but later become white, and coated with a waxy covering. When mature, the caterpillars leave their host, and form a white cocoon on a blade of grass or some such nearby. The cocoon resembles the waxy coating of a Fulgorid insect. 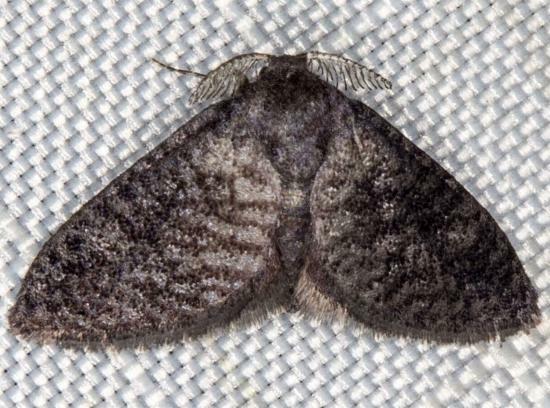 The adult moth has dark brown wings which look speckled because the wing scales detach very easily with handling. The forewings are twice the span of the hindwings. The wingspan is about 1 cm. Entomological Series 1 (1905) p. 82, No. 1. Volume 13 (1906), pp. 162-169.